If you’re concerned about your privacy, you should check out Disconnect. Available for Android and iOS, it blocks the trackers that slow down your browser and spy on you. Disconnect says that filtering these unwanted tracking requests has significant performance benefits. Apps and web pages load 44 percent faster, cellular data waste drops by 39 percent, and battery life increases. As far as tracker blockers are concerned, it’s as close as you’ll get to a gold standard. The EFF has described it as a “strong option”, and “the most effective protection”. The New York Times has lauded it as “nuanced”, the “easiest to understand”, and their “anti-tracking tool of choice”. Its biggest downside is its price. If you want to buy it outright, you’ll have to make a one-time purchase of $40, or a recurring subscription of $5 monthly. That’s outrageously expensive. 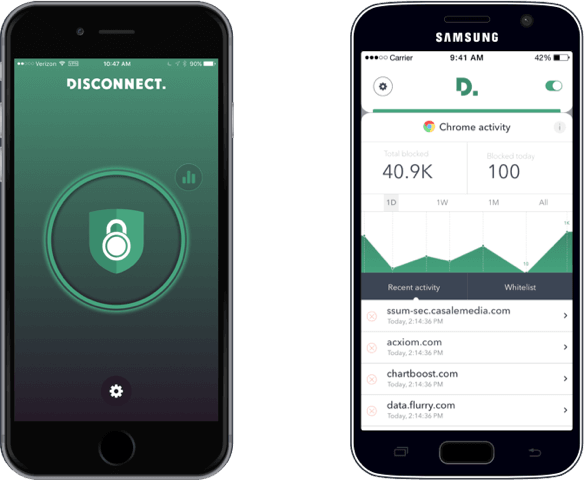 But for the next seven days, you can get the company’s new app, Disconnect Pro, for free if you’re on an iOS or Samsung device. There’s no in-app purchases after this. No subscriptions. It’s free forever. It’s worth pointing out that although there’s an Android Disconnect Pro app, it hasn’t been on the Google Play store for some time, due to it falling afoul of the Play Store terms and conditions. It has used this as an opportunity to release a fork of the Android version that’s specific to Samsung devices, and is distributed through the Galaxy Apps store. The Samsung version comes with some key enhancements, including a feature that can identify what application is the source of a tracker. The iOS version is available from the App Store. If you’re convinced, you have until September 28 to pick up Disconnect for free.